I have had my BMW 1M Coupe new since August 2012 and as you would know Michelin PS2 was the OEM tire. They were good at that time and I used to be able to wheel spin in second gear easily. Then came the next generation the Pilot Super Sport. 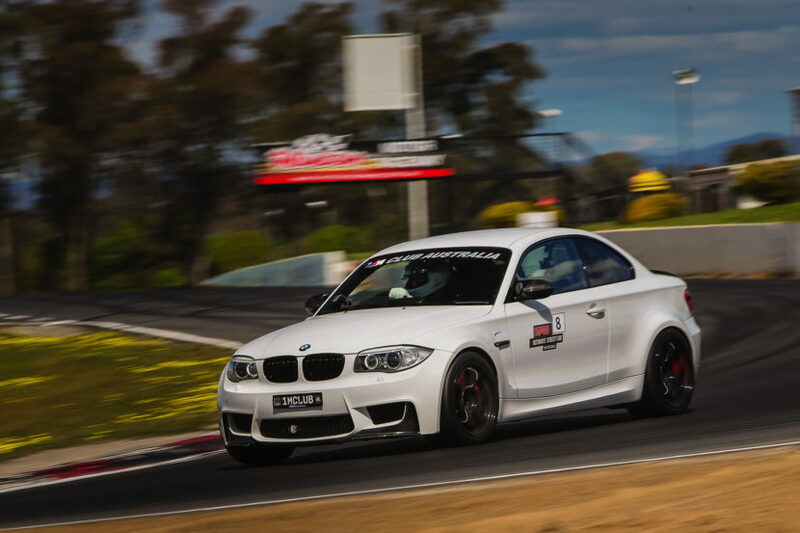 These were and still up to recent time the most popular tires in our BMW M cars circle, every M owner in our M Club Australia are running these. Traction was better as I didn’t get wheel spins at second gear easily like the PS2. I use my 1M mostly for spirited drives and occasional track days. For spirited drives, the PSS was great and the traction was better than PS2. 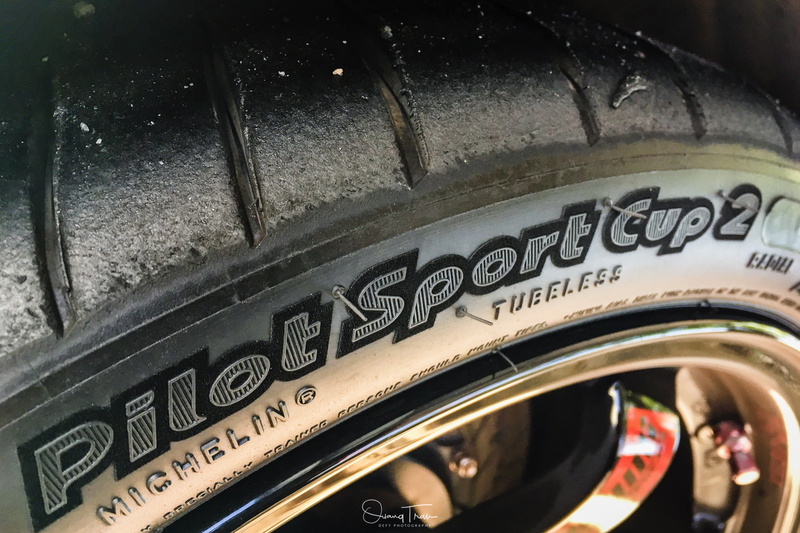 On track days, I didn’t find the PSS up to the job so I fitted the Michelin Pilot Sport Cup 2 on my OEM 19 inch wheels. 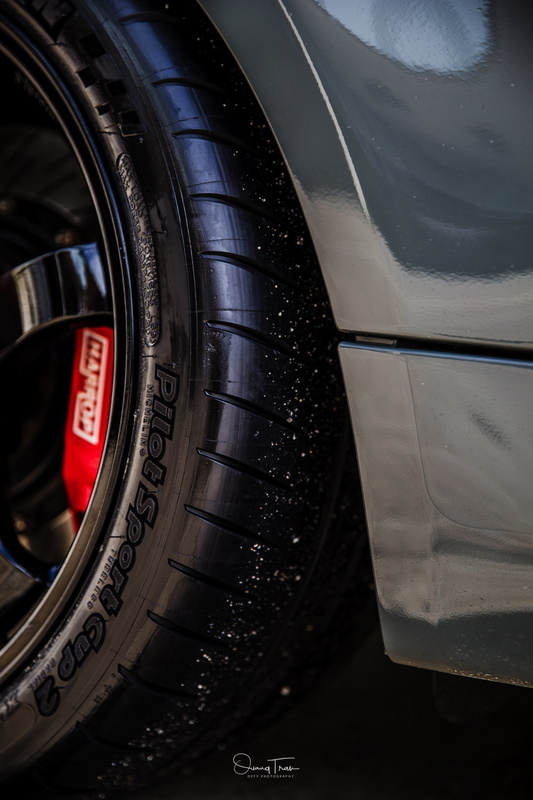 At that time, I also have a set of 18 inch track wheels Advan Racing ZR which I ran semi-slick Yokohama Advan A050, I then tried the Federal RS-RR. The traction was naturally much better than Michelin PS Cup 2 but they were horrible on normal street uses as they tramlined, noisy and heavy on steering feel. They also took longer to warm up. Being a novice track driver and lazy at changing wheels out every time before and after track days, when a mate who runs a performance tire/wheel shop offered me a new set of forged wheels Rays TE37SL with a new set of Michelin (265/35/18 and 285/35/18) Cup 2 on them, I couldn’t resist the offer and bought them. The nice thing about this was I can do both spirited drives and track days without swapping out. The Michelin Pilot Sport Cup 2 is the best package high performance tires for the occasional track drivers like myself. The grip level is superb at the limit in the dry, it doesn’t take long to bring the tire temperature up. As mentioned earlier, the quiet road noise is deal breaker for me and I love these Cup 2 for that reason. They are also very capable in the wet, I have driven hard in the rain and it felt okay except when there were standing water or running water across the road that got the car unstable and nervous. At the limit, I do find the Sport Cup 2 sidewall isn’t as stiff as I like, they are quite squirmish unless I ran the tire pressure a bit higher than I normally would. For the 1M, I found hot tire pressure 38 PSI front and 36 PSI rear are more stable at high speed corners. In comparison, I usually run the Advan or Federal 32-30 PSI hot. I enjoyed running the Cup 2 and am also very impressed with the durability too. The last set I managed around 15000kms, included four track days. I have just fitted another set of Cup 2 (265/35/18 and 295/30/18) on the Rays TE37SL and I also run Cup 2 on the OEM 19 inch wheels. In summary the pluses of these Cup 2 for me are fantastic handling, dry grip, treadwear and low road noise. The negatives for me are handling in the (severe) wet and soft sidewall. As an all rounder high performance summer tires, Cup 2 is the only one in my opinion. Yes, there is now the Michelin PS4S but I doubt it has the same ability to handle track day uses as the Cup 2.